If it feels like this blog is becoming all freelance, all the time, I apologize. I promise to write about other things soon, but creating a new career for myself has been taking up a lot of my time and energy. Things seem to finally be settling into a comfortable routine, so hopefully I'll be able to write about something else soon. In the meantime, month three is in the books. Here's how it went. July was a slow month, which caused a few fits of panic and shook my confidence more than I'd like to admit. (Spoiler alert: August has already been much better!) I soldiered on and tried to use my free time wisely. I sent out more pitches, worked on novel revisions and my query letter, and tried to do the best job possible at the start up so they'll keep me around. Nathan and I were also dealing with the bulk of our move during late July/early August, so I'm actually lucky that I didn't have as much work to do. I've read that freelance writing, like most industries, is slower in the summer and tried not to worry too much. Everyone at the start up put in extra hours last month as we prepare for the release of the app (!!!). My ghost writing gig picked up again at the very end of the month, which was nice. And even though the xoJane article paid the least, it got the most attention from friends and family. Turns out everyone likes a good love story! 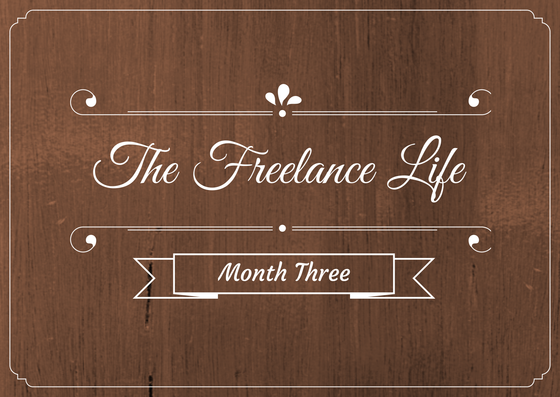 Even though July was light, it did offer a lot of variety and flexibility, which are the best perks of freelancing. Stay on top of my assignments. Create a schedule and stick to it. Finish revising my novel and send it out to agents. Get excited about the semester and the class I'm teaching. SAVE MONEY OR ELSE.